"Never trust joggers. 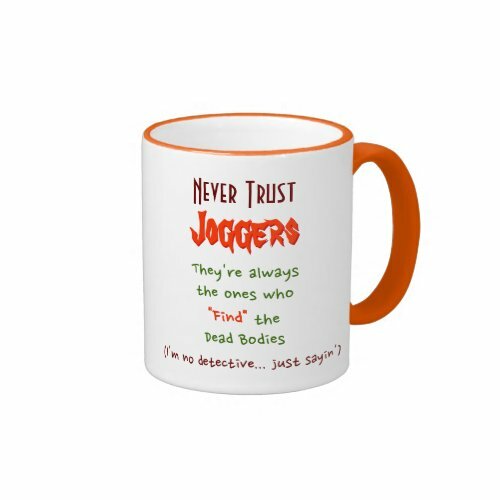 They're always the ones who "Find"..
..the Dead Bodies (I'm no detective... just sayin')"
A funny, hilarious coffee mug with invaluable, awesome piece of advice, pearls of wisdom for everyone - on joggers, dead bodies, and trust issues. Man its true - the best wisdom is found on coffee mugs, especially coffee mugs from iSmiledYou, I swear! 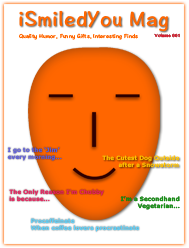 Makes a fun gift for birthday, holidays, christmas, or any regular day, for friends, family, and yourself!